For the last two years, in my spare time I have been compiling a lengthy instructional document on how to shoot video interviews. They are an integral part of my productions, and having done so many of them, I felt that I had a lot of good insight to share. About a year in to the project, I had roughly 60 full pages of raw text, and enlisted the help of friend and collaborator Joshua Pardon, who teaches at Ferris State University in Michigan. With his extensive knowledge and attention to detail, not only did he add content and fill in the gaps of instruction, but he also did the layout. In the end, we had over 100 pages of material! Besides the text content, we spent many months working on the layout design, getting still photos, and even producing some original videos to supplement the text. 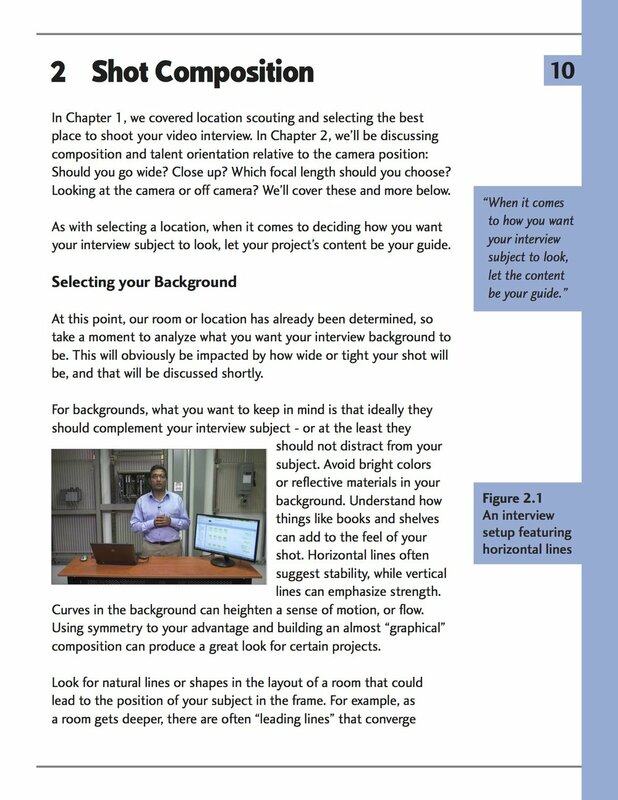 This e-book is for anyone who wants to learn, or improve on existing, techniques for producing a documentary-style interview. We cover everything from location scouting to lighting, and there are example stills and videos included. Click here to learn more and see an example video!